Count on Toyota Financial Services team at Milton Toyota to deliver the superior service and quality that you've come to know and expect from the Toyota family. Our promise to you includes fast credit approval, competitive rates, and flexible terms all presented to you in plain language with full disclosure contracts to provide you with all the information you need. Unless you're paying cash for your Toyota upfront, the only way to take one home is to finance or lease it. Financing requires making monthly payments to pay for the purchase of the vehicle. 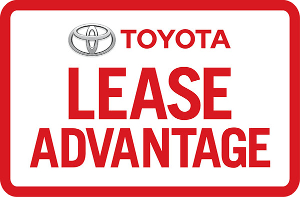 Leasing involves paying for the use of the vehicle over time plus any lease charges. Full pricing details and eligibility at www.toyota.ca. Efforts have been made to ensure the accuracy of the information presented above, though pricing, equipment, or other details may change at any time without notice. For more information refer to Toyota Canada's website, or consult the vehicle's owner's manual when applicable.